Specializing in Residential & Commercial Air Conditioning Installation, DeZiel Heating & A/C is dedicated to keeping clients in Buffalo, MN nice and cool. No job is too big or small, and we aim to deliver complete customer satisfaction on every project we undertake. We also offer a wide selection of air conditioner models at affordable prices to meet your specific needs. When you work with DeZiel Heating & A/C, our trained service technicians will sit down with you to discuss your needs and help you find the best air conditioning system for your budget. We pride ourselves on working hard to ensure not only affordability, but quality and complete customer satisfaction as well. So whether you need air conditioning installation for a small home or an entire office building, our highly trained and experienced contractors will provide the speedy, high-quality service you can depend on. Save money on energy costs – Your energy costs will drop significantly as new systems are a more energy efficient way to cool your home. Energy Efficiency – Today’s ENERGY STAR qualified systems are as much as 60% more efficient than 10-year-old equipment. Warranted Parts – Most manufactures will back their products with warranties for parts and sometimes labor. Maintain the comfort of your home – Keep your cool throughout the summer months by making sure you’re running the most functional air conditioning unit possible. If your Air Conditioner needs constant repairs then it is time for replacement. Look at it this way. Every year when your are putting money into your air conditioner that is money that can be saved for other uses. Also, with new refrigerant guidelines, the refrigerant that is used in your older system has been replaced by a new more environmentally friendly coolant. 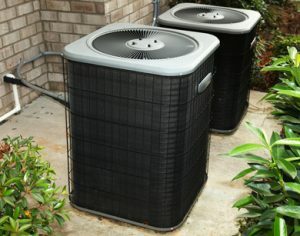 The cost of your old refrigerant has quadrupled in price and is now becoming more expensive to maintain your older unit. There are also tax incentives for HVAC Replacements that are available. If you are tired of paying for expensive repair and ready to set up to the next level of comfort then call DeZiel Heating & A/C today! If you are looking for Air Conditioning Installation Services then please call 763-684-3965 or complete our online request form.